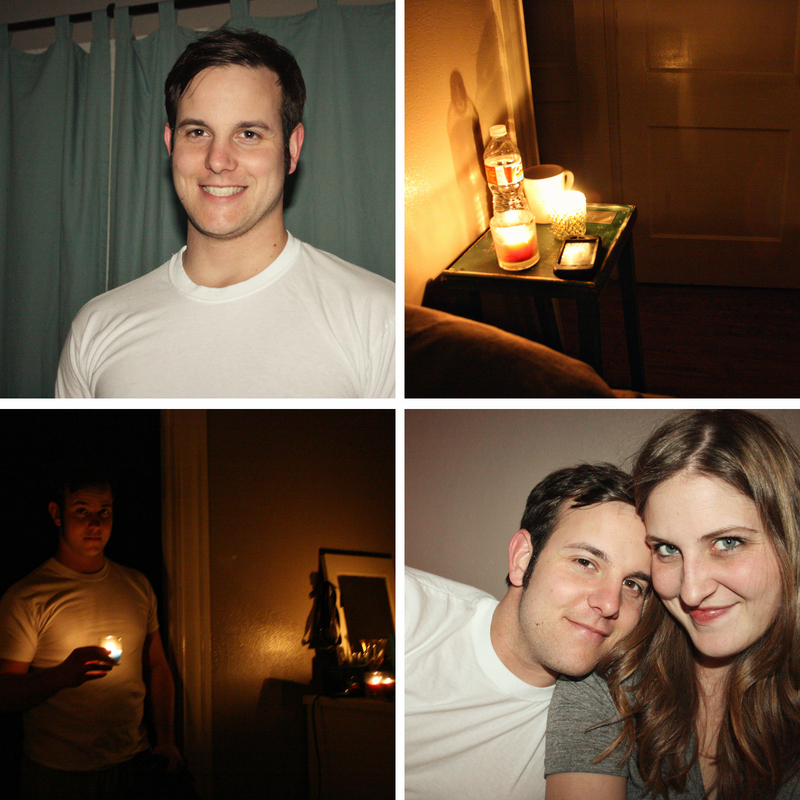 Yesterday, I was all ready to put up my New Year's post, and suddenly we didn't have electricity. We are in the process of trying to get it resolved (and are very frustrated with the power company), but in the meantime we went out for a yummy dinner, lit lots of candles, watched arrested development on my computer's remaining battery power, and greg decided he needed to finish all the ice cream in the freezer so it didn't go bad. All in all, a great night. Oh, and I've had to work from Starbucks all day since we need power to have the internet (and I think the coffee is soaking into my skin, you can smell coffee on me from 3 ft away).